Here it is. The biggest Benz of the era. The 770 was introduced in 1930 at the Paris Motor Show and was produced in two series until 1943 (Series I cars produced into 1938 before Series II cars came about). And yes, this was produced well into World War II. Why? One reason, perhaps, is that these were the favored machines of top Nazi officials. The engine is a massive 7.7-liter straight-eight making 150 horsepower. This kompressor “K” (or “supercharged) model makes 200 horsepower. An overwhelming majority of 770s were supercharged (only 13 of the 205 total built were not). Torque was impressive: 395 lb/ft at a lowly 1500rpm – that’s a lot of low-end grunt. Imagine what fun these cars are when you put the power down. This Cabriolet D is one of 18 produced and was sold new to a German actor in Berlin. When he fled Germany in 1933 after the rise of Hitler, he brought this beautiful Benz with him to Hollywood. It spent much of the rest of its life in the U.S., including time in the Blackhawk Collection. It returned to Germany in 2004 where it was restored for a second time. This early 770K is an amazing car. It is not a model that comes up for sale often at all, so this is a unique chance. To get your hands on it, it will run you between $2,500,000-$3,000,000. Click here for more info and here for more from this sale. 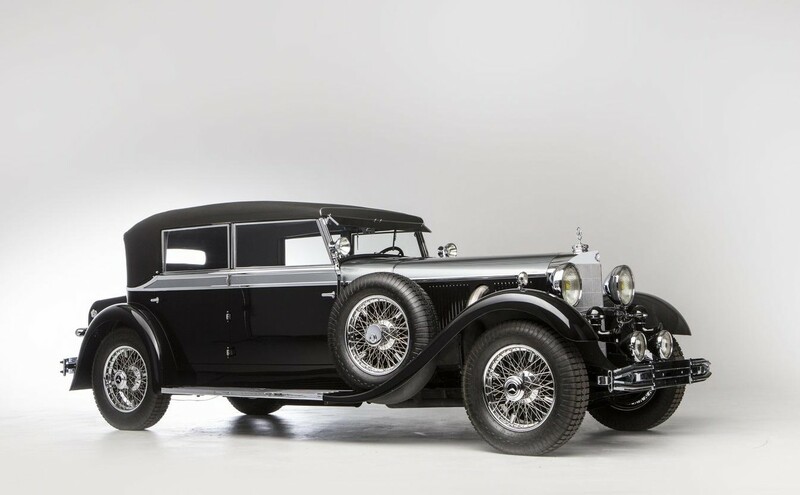 This entry was posted in Uncategorized and tagged 1931, 770k, auctions, Bonhams, cabriolet d, cars, classic cars, mercedes-benz, series i, sindelfingen by classiccarweekly. Bookmark the permalink.